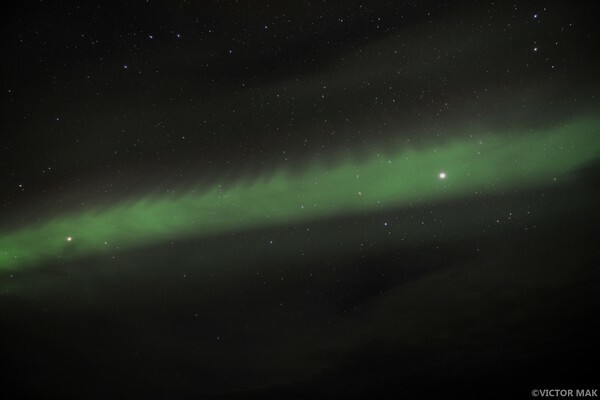 The forecast to see an aurora was bleak each night we were in Iceland. There was a lot of overcast. February 20th the forecast was just as bleak and the reports said there wasn’t much solar activity going on. Our first guide, Stein (pronounced Stain) said to not rely on the reports. Sometimes they say there will be a lot of solar activity and you see nothing. Sometimes they say there will be no activity and you see it. He said if it’s a night where you can see the stars just look. We were a little disappointed. 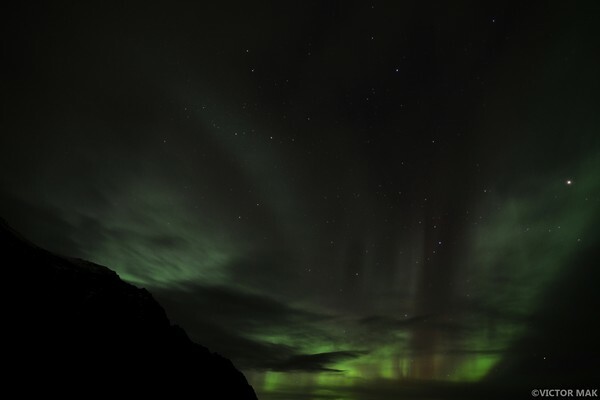 Our tour mate, Frankie said “In this beauty, the aurora is just a bonus.” So true. We were disappointed it didn’t seem like it was gonna happen but not that disappointed. I kind of screwed up booking our tour. I booked it where we immediately went on tour after getting off the plane. We were so jet lagged I just felt kind of delirious and dreamy. Everything felt like one long day with lots of naps. Thank the universe for that screw up and thank the universe for jet lag. We put on all our layers (I had on 2 thermals, pj pants and my lined hiking pants) and walk to the back of our hut. We see the sky had cleared a little and can’t figure out what this long white weird looking cloud is. Then Vic reminded me that Stein said that the aurora comes in grades. Low grade ones show up white and strong ones have color. I think I fell asleep through that part of the bus ride. There it was around midnight. I didn’t expect it to feel that way – ‘is that funny cloud it?’ It was and it was getting stronger over the course of a half hour. Then the clouds came back and she was gone. We checked a few times throughout the night. Our second time outside the wind was so strong it blew our tripod to the ground. It landed on the camera body and we thought it was safe but it wasn’t. The body is okay, the lens just split open. Our week old Tamron 15-30mm was now kind of broken. That hurt, it was our most important lens for our Euro excursion but it also teaches us to insure our damn equipment. 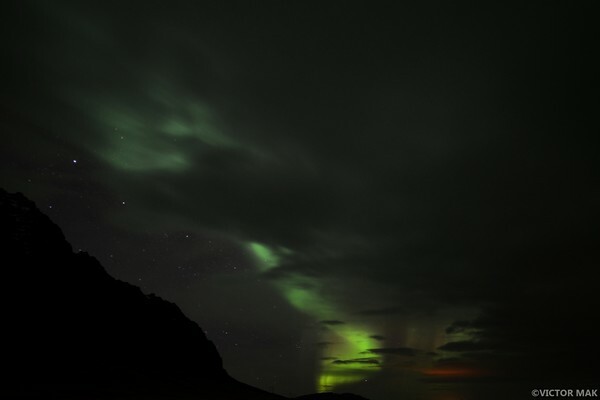 At least we got some great pics and at least we got to see the aurora. That night she was meant to be. And Thank You jet lag! 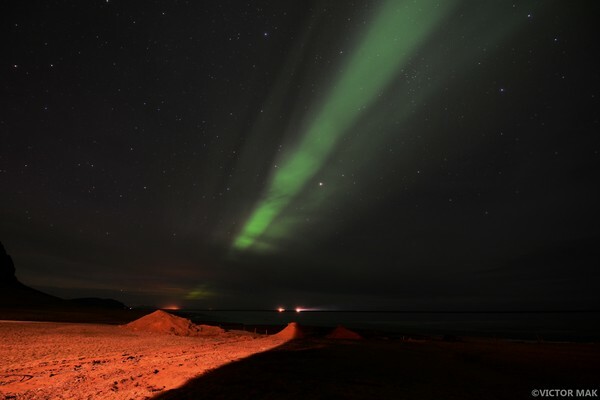 Posted on March 10, 2015 by jebusandandrea	This entry was posted in Aurora Borealis, Europe and tagged Aurora, Iceland, Night Photgraphy, Northern Lights, Photography, Snow, Travel, Winter. Bookmark the permalink. Spectacular! What an amazing experience. Thank You! 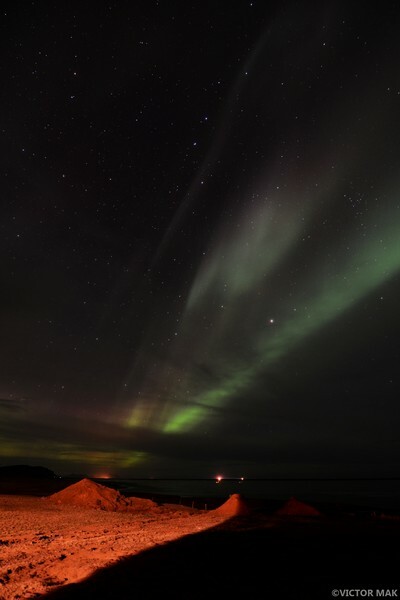 If you furry guys don’t mind wearing extra clothing (I know you have gorgeous fur coats but you’ll need some extra warmth) – we recommended Iceland. It’s 5-6 hours away from NY. Not too bad of a flight. But keep in mind – it’s really expensive to eat there from what we hear. We were on a tour and only ate wherever they dropped us and it was $130 for 2 people just for soup, dinner and dessert. This trip killed our vacation budget but worth it! It looks absolutely gorgeous, but I’m not surprised things cost so much just because the shipping to supply fresh food is probably very expensive! Although $130 for such a modest meal is… wow! 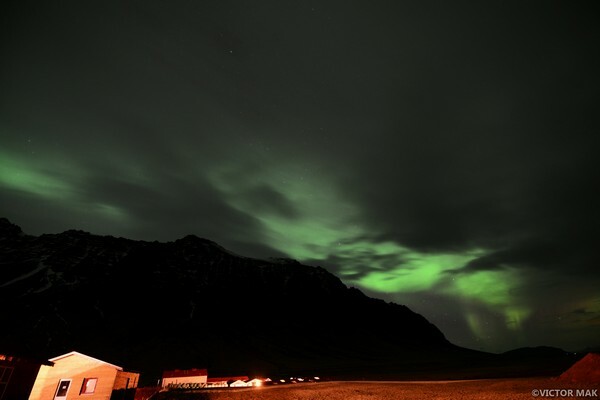 I’d love to go to Iceland, which is a new dream of mine. 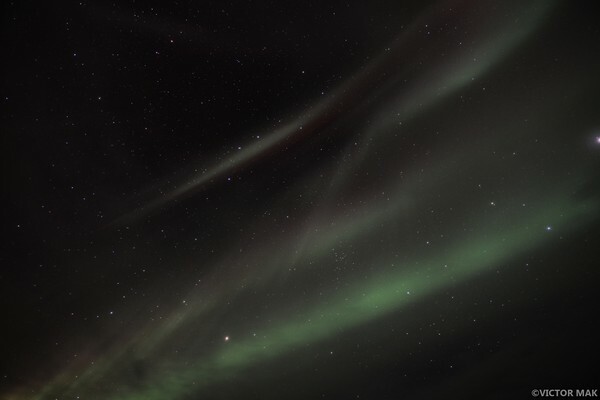 I always thought I’d never see the aurora. Now, I see a way to do both…. Loved the post. Sorry to hear about the lens.